I love Spring! 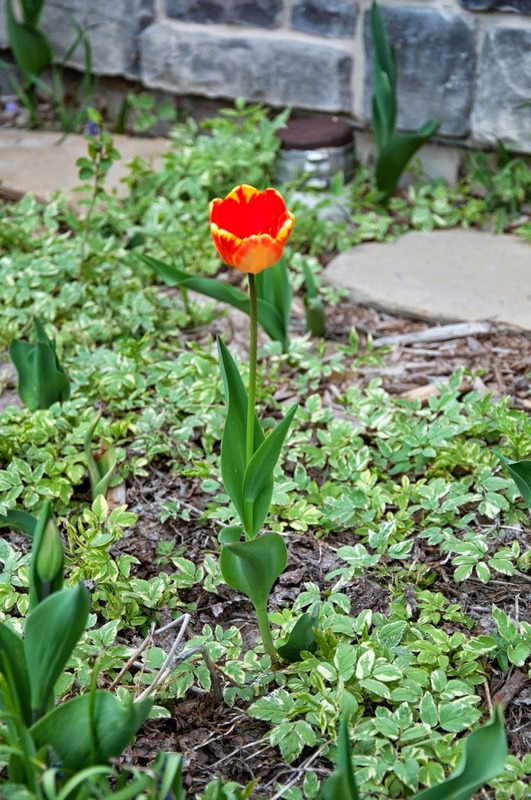 Tulips are my favorite flower, and watching all of them emerge out of the ground, and stretching for the sunshine after a long winter brings joy to my heart. Watching their tender, colorful petals spreading open with the sun's rays is magical to me. I don't have a green thumb, but I do love the beauty of this world, so I'm trying to learn how to best care for the plants that I have in my yard. We have quite a few rose bushes that stretch along our fence, and they have grown unruly from my lack of time and knowledge to care for them. The other day I decided I was finally going to prune them, and watched some videos online to help me learn how to do the task. It looked fairly simple online, but as I went outside to my own bushes I suddenly felt overwhelmed. Where should I start? Some of these bushes were almost 6 feet tall, and I was supposed to cut them down to about 18 inches high. Not only that, but I was supposed to clear out all but 5 or 6 of the canes, leaving the strongest canes with the best shape for the plant. My roses have already started to bud so I didn't want to cut off the stems that were already growing so well. I was afraid that I would kill my plants. I decided to start doing it anyway, and started cutting out the dead wood first. After that I had to decide which canes were the strongest and would stay, and which ones I had to cut down. Then I looked for the ones that were crossing in the wrong direction and were interfering with the proper growth of the plant. As I continued to get more brave with each plant, my son complained that I was "cutting them all off!" It was difficult to explain to my 4 year old that this would help the plant to produce more flowers and that it needed to be done. Yesterday morning as I was reading my scriptures I ran across this verse that reminded me of my experiences with trimming the rose bushes just a couple of days before. John 15:2 "Every branch in me that beareth not fruit he taketh away: and every branch that beareth fruit, he purgeth it, that it may bring forth more fruit." I knew that this scripture wasn't just talking about plants, but about our Heavenly Father's children. In the footnote for the word "purgeth" it says that it means to "purify", and to "test". I started to think about how difficult it was for me to cut down my roses. How fearful I was that it would be too much for them to handle, and would possibly kill them. I thought about my own children and how I see a need for discipline, but I hate to see my kids sad. These precious little boys that have been entrusted in my care mean so much to me, and I don't want them to be unhappy. But I also know that if I let them grow without guidelines and consequences, wild and free, that they won't achieve their full potential. I try my best to discipline with an increase of love afterward. And this led me to ponder on when I have been been "cut down" in my own life. At times it has seemed far too much to bear. Didn't Heavenly Father know that it would almost break me? That I wasn't as strong as I thought I was before the trial came? But looking back, I can see that I have grown to be more than I would have been if I had just kept living my life without the "pruning". At times I have tried to handle my challenges on my own. My rose bushes still require watering and the nourishment from the soil that they are planted in or they will die. And so it is with me. My challenges can be too much to bear and the heat will scorch me if I don't supply the proper nourishment to my Spirit. I have felt an increase of my Heavenly Father's love when I have searched Him out. I've learned so much from my trials. I've grown stronger, and I can see that Heavenly Father is shaping me into a more beautiful version of myself than I was before. The most remarkable part of all of it is that just because I've endured one trial, doesn't mean that another one isn't right there to follow the first. And I find myself saying, "Again? What did I not learn the first time? Why, again? Why more? I've already learned so much." But the truth is, I may have already blossomed more than I previously had, but I still have growth to be made. I still have things to learn. 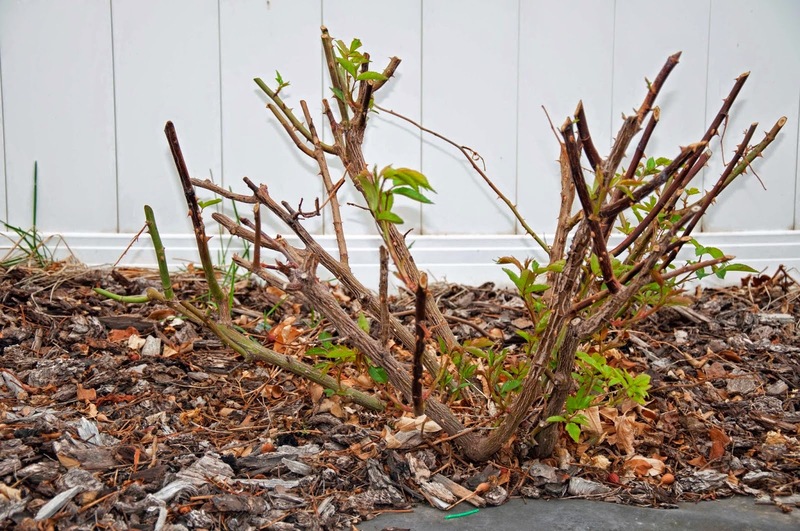 Just like my rose bushes need to be pruned again, and again, likewise, so do I. And with each "pruning", I am being shaped and am blossoming into a better version of myself. And this will continue my whole life long until Heavenly Father has made me into what He needs me to be. because they are a symbol of hope. Just like my tulips, I can emerge from my trials and sorrow if I reach for the SON. And even though the breeze may continue to toss me, I can blossom into something colorful, resilient, and beautiful! This girl just happens to be my fav. She shared these thoughts with me and I'm glad she sent them your way as well. Its amazing the truths we can find in ordinary everyday things if we are open to learning from them. Love ya jack. I love this, Jackie! Thank you for sharing. An Answer to a Prayer, A lesson to be taught.